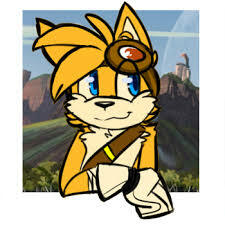 Tails had the most liked content! What features do you hope the PS5 will have? Well for me I am hoping that it will have an affordable price point as well as free online like the PS3 had. 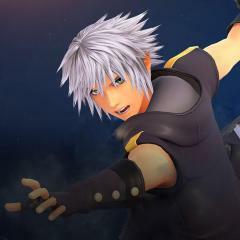 Hello my fellow KH fans. How are you all doing today/tonight? So Sony has just recently shared some new info about the Playstation 5. So I thought I'd make a thread about it since nobody else seems to have done so yet. Anyway, here's the juicy new details about the PS5 :P.
OK I have seen so many people in the Kingdom Hearts community compare Kingdom Hearts 3 to Kingdom Hearts 2 and it's seriously annoying. 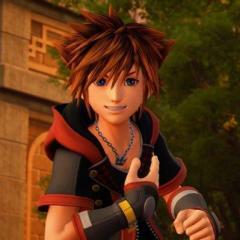 When people are comparing Kingdom Hearts 3 to Kingdom Hearts 2 they are mainly comparing the final mix version of Kingdom Hearts 2 instead of the original Kingdom Hearts 2. Like, I get it, everyone wanted Kingdom Hearts 3 to be the next KH2FM in terms of gameplay, story telling, and game content. Like, every video I go to about KH3 people are all like "Kingdom Hearts 3 was a disappointment. It's the worst game of 2019!" Or "It's sad how a PS4 game that took 5 years to be developed not surpass KH2". But everyone had these SAME exact complaints about the original Kingdom Hearts 2 when it came out saying how the KH2 is too easy compared to Kingdom Hearts 1 because of reaction commands, drive forms, limits, ect. And also the fact that you had to do a finisher just to beat a boss. Now ever since KH3 came out everyone pretty much forgot vanilla KH2 exists and how everyone complained about the things I've mentioned. And another thing, people are complaining about how KH3's optional boss is super easy and that Sephiroth in KH2 was "much harder" when, if I recall correctly, everyone said the exact same thing about KH2 Sephiroth. Yeah, remember how everyone kept comparing KH2 Sephiroth to KH1 Sephiroth? Yup this is that exact same situation all over again. Also, I feel like everyone in the Kingdom Hearts community got so spoiled with Kingdom Hearts 2 Final Mix ever since it became available via Kingdom Hearts HD 2.5 Remix on PS3/PS4. Like, everyone just now expects every KH game in the future to be EXACTLY like KH2FM in terms of gameplay mechanics and whatnot. As well as post game content. Like, don't get me wrong, I don't blame fans for wanting that kind of stuff for Kingdom Hearts 3 since it has been really anticipated for a long time in the KH community. 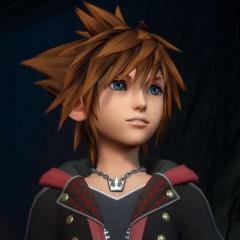 But, because of everyone's high expectations, KH3 is being considered "bad" or "the worst game of 2019" just because it didn't surpass KH2FM with all of it's crazy content. Heck people are pretty much begging KH3's DLC to include some form of "Data Organization XIII battles" of the Organization members you fight towards the end of the game. That's how big of an impact KH2FM has had on the KH community ever since it became available worldwide. Like, I'll admit that I, myself" had these expectations as well. Yeah I'm not gonna lie. But was I disappointed in KH3 because it simply isn't KH2FM or at least didn't live up to that game? Well, not really? I mean yeah I'll agree that the pacing in the game is awful and the story telling with saving all the other KH protagonists could have been done better but still. I still enjoyed the game for what it was instead of just whining about it not being up to par with KH2FM. Like I did with Final Fantasy XV when that came out. Yes, I was disappointed in its story and pacing but it's not an terrible. Ohoho no. It's certainly not a Sonic 06. Just like with KH3. It's an alright game I will admit (although that may change depending on what's to come with the upcoming DLC) but it's no Sonic 06 like everybody's making it out to be. All I'm saying is...well...it's just kind of annoying that KH3 gets compared to KH2 (mainly the final mix version) in the most unfair way. Like, KH2FM has pretty much blinded most people in the fanbase with their judgement toward KH3. Because if KH2FM never became a thing I bet you that KH3 wouldn't get this much hate and now get compared to it. So yeah, just my two cents. What are your thoughts on these negative criticisms towards KH3? This sounds exactly like Kingdom Hearts 0.2 Birth by Sleep's Critical Mode reading your description of Critical Mode in KH3. Which I hope turns out to be not the case because KH 0.2's Critical Mode was way to restrictive on your items and magic. Frozen 2 Has Been Announced! Oh? When did they announce Frozen 2? Enlighten me. This is a really great debut for KIngdom Hearts 3. Pretty much everyone and their mother was anticipating this game for a long time so I'm not surprised that it sold so well over in Japan. I am, however, surprised to see that Resident Evil 2 didn't even at least come close to KH3's debut numbers considering that the Resident Evil/Biohazard series is pretty popular there. Even Resident Evil 7 / Biohazard 7 sold even less than RE2 remake on its debut when it came out over there. It could be due to the fact that the Resident Evil / Biohazard series is starting to drift more towards the western audience than with the Japanese one if you look at RE7 and RE2 remake. They feel like games more made for the West than for Japanese people. Did you enjoy the game with the Chaotix? Also yeah hopefully we won't have to wait another 13 years for KH4 lol. I just find it strange that they have to make Critical Mode a DLC in the first place since it's always been available in previous KH games. This is a weird tactic from SE, if you ask me. Wel that's good news to hear. Yeah hopefully it will be added in later as an update. So I have noticed that Kingdom Hearts 3 has no Critical Mode difficulty, which is very strange to me considering that Kingdom Hearts 0.2 BBS, a game using the same engine as KH3, has this difficulty even though you had to unlock it first. I've heard that it's not an unlockable difficulty this time like it was in DDD and KH 0.2 but just not in the game altogether. Does anyone know if there will be some kind of update that adds Critical Mode into the game? Because it feels so weird to not have it in KH3 since, again, it's in KH 0.2 BBS which, by the way, is pretty much a demo. Leakers seriously ruin everything. I swear. If Nomura decides on no more worldwide KH releases because of this I will be so sad. The Month Is Here, Everyone! That was a beautifully made, and well thought-out comment, Transcendant. I know how you feel. KH has been an important part of my life as well. It's crazy to think that we'll finally be at the end of a saga that's been a part of us since childhood. The feels are certainly real.